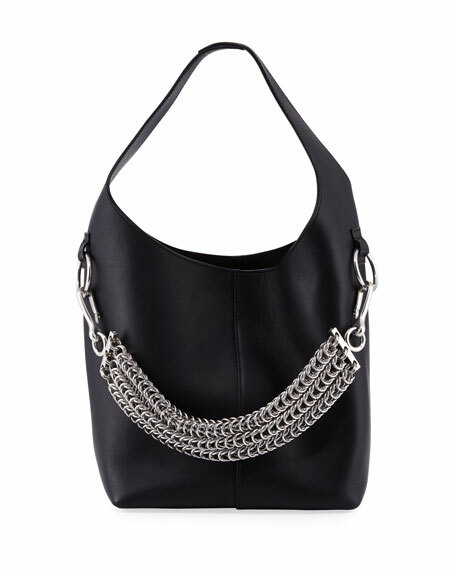 Alexander Wang mini leather hobo bag with removable hanging layered chain detail. 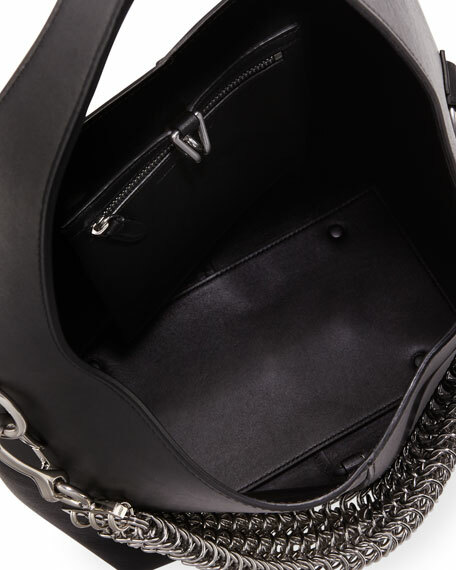 Open top with center hook closure. For in-store inquiries, use sku #2373360.